The machine is equipped with magnetic false-twist spindle which is easy to operate.Gear case is used for winding, with lip motion device for the soft edge.The control of the whole machine is all installed in the control casing at the head of machine (spindle, false twist spindle, over-feed device and change of twist range). False Twist Two-For-One Twisting Machine can produce steaming fold filament from wire silk by one step which will reach to the silk-like effect.The machine has high flexibility which not only can be used as ordinary Two-For-One Twister, but also can be used for twisting constant heat-setting yarn.Inset ceramic piece in yarn guide is used for yarn breaking. 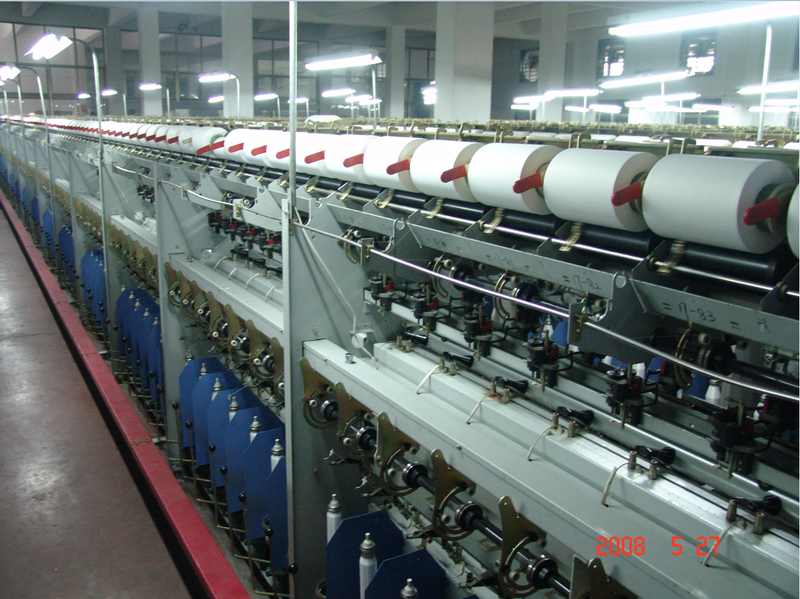 Inset ceramic piece in over-feed fixes in two independent drive axis, which is used to control the tension of yarn precisely during the setting and winding.The Silk Wheel is equipped in each over-feed can be adjusted tension of both take-up and inner heater pipe.The yarn refueling device in the machine is an automatic device to fill center fuel tank. (For choice).The machine is equipped with automatic tag-ending device. (For choice).Yarn is in the inlet of heater pipe which has a ceramic silk wheel to lesson the tension of yarn.The computer system control the temperature of heater pipe, which can monitor whether the heater pipe is at normal work or not.Working conditions and the effect will be showed on the computer. The exhaust emission system is connected to user central Control System.The whole machine carries out digital monitor by a set of software, including: spindle speed, false twist spindle speed, over-feed rate, take-up speed, yarn meter counter, alarm display, working hours, procedure memory and twist direction(S or Z), etc. Looking for ideal Electronic False Twister Manufacturer & supplier ? We have a wide selection at great prices to help you get creative. All the High Cost Performance False Twister are quality guaranteed. 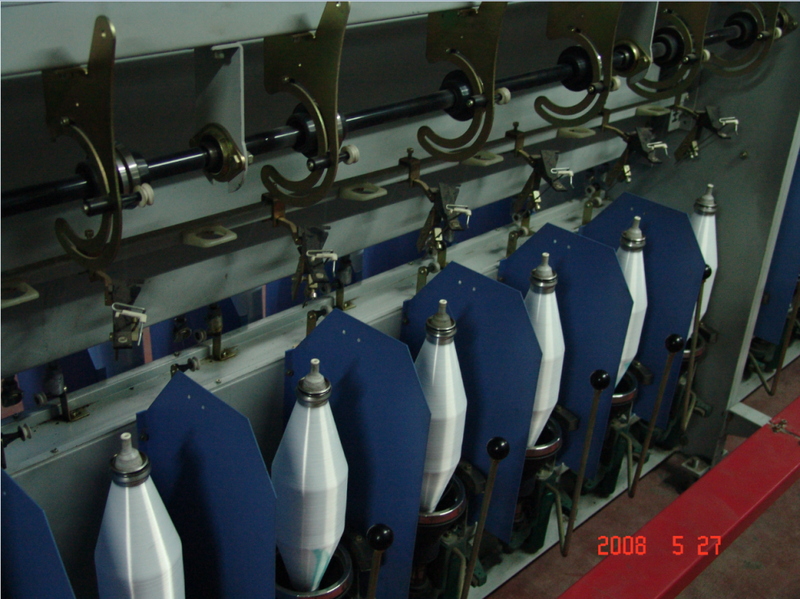 We are China Origin Factory of Heat Setting Two-for-one Twister Machine. If you have any question, please feel free to contact us.